The Seattle C plastic click pen includes a silver barrel, your choice of colored clip and click mechanism. 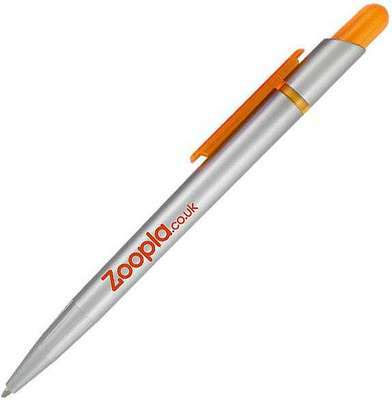 The Empire Seattle C Plastic Click Ballpoint Pen comes with silver barrel. 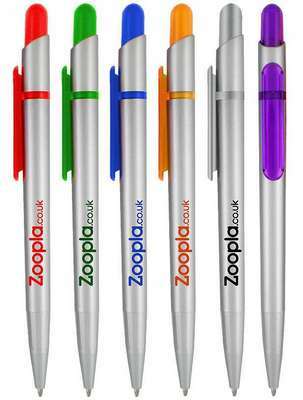 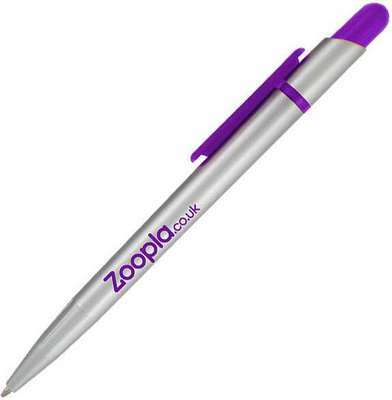 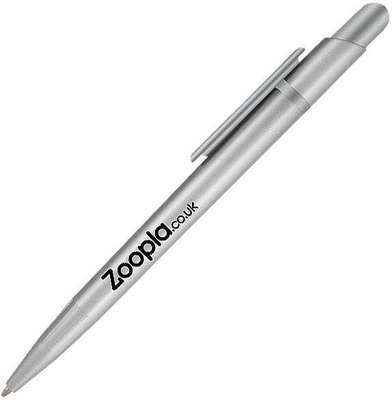 Imprint you logo onto the silver barrel and leave your first great impression on your customers. 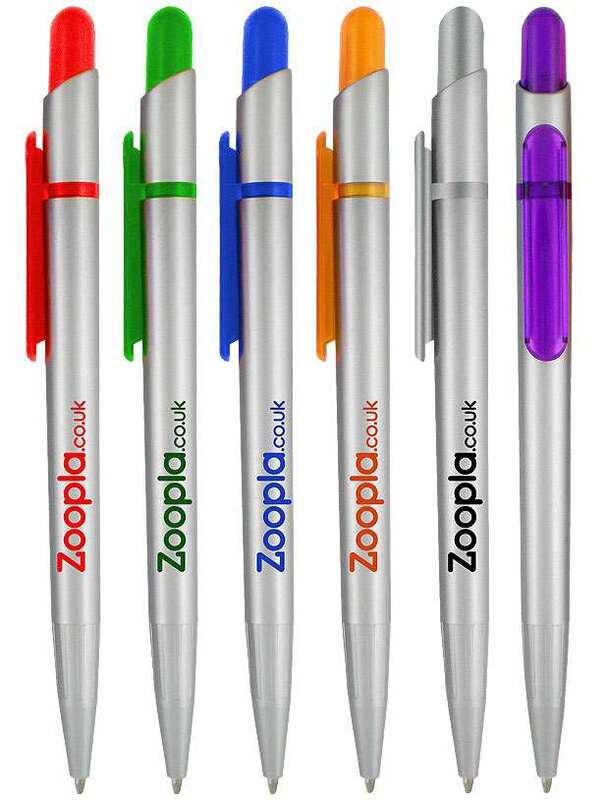 The clips and the plunger are available in unique dazzling color options that make it a permanent accessory on your customer’s attire thus increasing your brand recall almost exponentially. The two tone design contributes to its class and the click action mechanism makes it very comfortable to use.